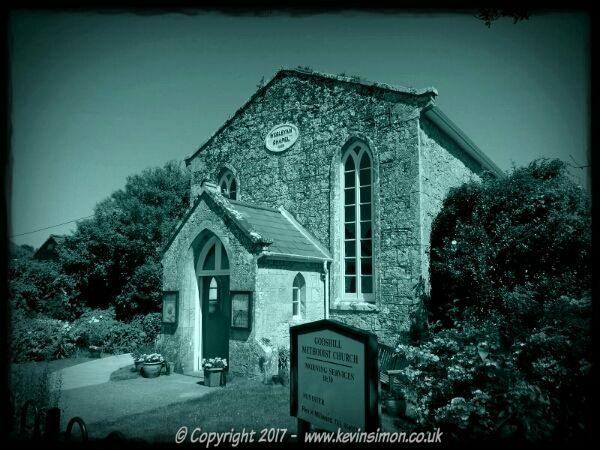 I was just messing around with an photo editing app on my tablet called Photostudio Pro and just choose this photo I took of Godshill Methodist Church which I took while we on holiday in the Isle of Wight. On one day we visited the the Godshill model village and going through the main village I took this photo of the church, was just a plain photo. I have hadPhotostudio Pro which is available from the play Store for £4.89, for a while think I may have brought it when it was on sale. Not really used it that much before as mainly use Google Snapseed but used it a bit this morning and not a bad app it has loads of photo effects to add, can also manually adjust curves, brightness contrast etc. You can also add stickers, borders etc, though personally I don’t use those parts. I mainly use to adjust colours, focus, brightness etc. With this photo just added one of the built in effects that made it more mono colour, then just adjusted the saturation to make more of a shade of blue then a fade in black border, which really has made a bland photo pop a bit more.